UK-based online retailer ASOS is on an unstoppable roll: The retailer’s sales accelerated 70 percent up from 59 percent in its third-quarter, and for the first time, international sales actually surpassed UK sales. The site now boasts 13 million unique visits a month, and has three million active customers from 160 countries. 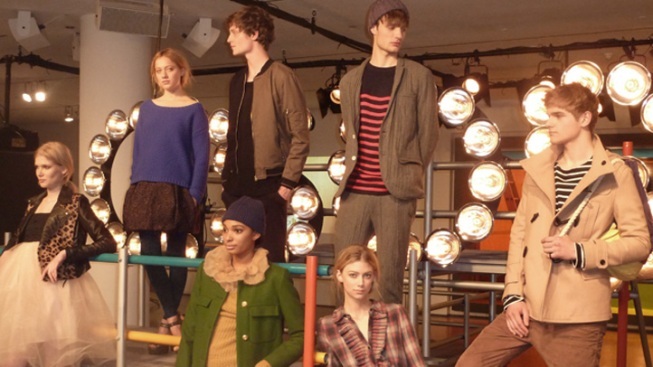 Given ASOS’ new global prominence, it was fitting that the team decamped to New York this season for the first time to preview their Fall 2011 collection. Color (a la Prada’s Spring 2011 collection), a '90s influence (via Christian Lacroix) and mod references all inspired the coming season. Caren Downie, Womenswear Fashion Director of ASOS answered our questions about the company's rapid growth and how she hones in on each season's most important trends. What is the process like for you each season? The process is never-ending. We add over 1,500 new items to the site each week. There is always one more thing to do. We probably have more options than any high street retailer so our offerings are broad, really really broad, and it’s a continuous process. It’s much more involved than just thinking about four seasons a year. How do you decide what trends you are going to focus on? We take inspiration from the catwalks obviously. We take a lot of references from the street, particularly in London, because we are London-based brand. We also do a lot of vintage shopping. Then we try and keep our customer in mind, thinking about what she would like and how she would like to wear it. We think about the end use as well—whether it’s daywear or something for evening and hopefully we provide a diverse assortment and something for everyone and every occasion. Who do you think your customer is? It’s getting broader, our customer. Certainly the core customer base is in their early twenties, but actually its growing more upwards than downwards. So we are focusing on more luxurious fabrics and attention to detail to appeal to this new woman. You’ve been at ASOS for three years. How has it changed since you arrived? It’s changed a lot. It’s more than doubled in size in terms of the number of employees working here. I also think we are much more fashion focused than we were when I started. The heritage of the brand is celebrity based [and took cues from what stars were wearing], but now fashion is definitely coming first, and we want to be the first to bring the key trends to market. Our customer is really brave with their choices and that pushes us to be really brave as well on our collection, but also with the brands that we buy. What’s the biggest challenge right now for you? We are really pushing to improve the quality. Because we have no stores, we want to really delight when the customer opens the box and finally gets to see what they bought up close and touch it.